Building a shed from scratch is an ambitious project... not so big that you need to call in the professionals.... but big enough that lack of planning can quickly result in many unforeseen problems. These problems will add time, expense and cause quality to suffer on what you thought was going to be a fairly straight forward project. The good news is that that there is no need to reach the point of tearing your hair out with frustration. You can do some structured planning and research beforehand which will help you to reap big dividends and avoid the hidden pitfalls. It's these pitfalls where you lose time, money and the quality of your building suffers. Wouldn't you love to build this? 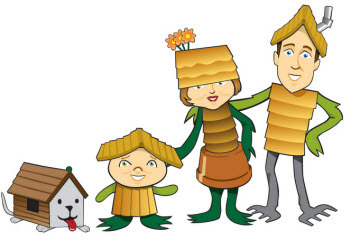 This site is structured to take you from the initial spark of an idea to being the happy owner of a well installed and easily maintained garden building. Find out how you can plan ahead to head off problems that you had not previously even considered. If you are visiting this site for the first time take a minute to see where you are in the out-building project process as this will help you to find the section of the site that will help you most. Have fun as you develop what you want. Take a look at our shed designs page where you will find over 100 designs from the practical to the way out that readers have submitted during our design competitions. Once you have a design in mind find out a bit about the hidden pitfalls that others have come across. The building a shed page has building tips, but more importantly case studies. Learning from these case studies will help you to avoid some of the mistakes that these guys encountered. The Gold is in the detail - find out how the individual components fit together. The main components of a garden building are the roof, walls, floor and foundation. There are articles discussing all the main points of construction of these elements. The easiest way to find any of these items is to have a quick look at the navigation bar on the left hand side of the page. Alternatively start your shed design here with this overview article. What if you decide that all this looks like too much hard work? If you decide not build your own garden building from scratch an easier route is to choose to build a garden building manufactured by one of the many specialist manufacturers and builders. Take a look at the many shed reviews that we have on the site to find out which model will solve your problem. Finally... if you have been through all the categories above and still haven't found the answer to your question it means that I have failed in my mission to provide a comprehensive out-building resource....Help me to overcome this shortfall and come along to Potters shed to ask your question and find an answer. Do you want an easy, simple way to learn more about backyard building? Keep up with the top questions, answers and tips from our Mini-forum. 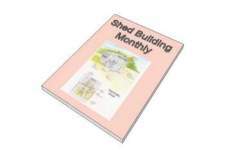 Would you like a FREE, downloadable, virtual shed? If you answered Yes! to any of these questions then pop your contact details in the box below to keep updated with all the latest from this site. Your email address will be kept confidential and won't be shared. 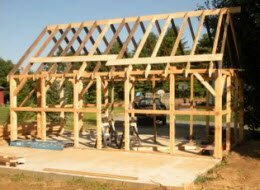 Building a firewood storage shed - read these tips first. How to build a shed and answers to all your shed building questions. Do you need to know 'How to build a shed' ? Or have other shed building questions - ask them here. Shed siding - Wood, metal or vinyl - which is right for you? This guide to selecting a pool house will tell you everything about designing, planning, building and finishing the perfect pool house. We've put together the best tips from the professionals that will help you create the ideal poolside cabana. 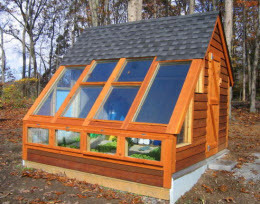 Tips on how to choose garden shed plans appropriate to your garden and skill level. 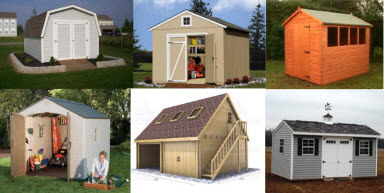 Read storage shed reviews by real users to find out the good and bad points of each product. Is an Arrow Metal Shed The Answer To Your Storage Needs? Your Shed Maintenance Guide - How To Keep Your Shed In Tip Top Shape and How To Rescue It If You Don't!